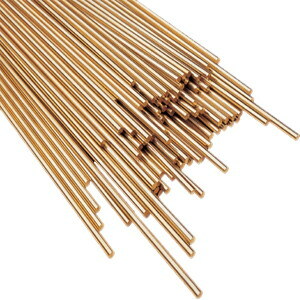 De-oxidized Copper, ERCu as per AWS A5.7 and SG-CuSn as per DIN 1733, is an unalloyed copper filler metal normally applied for the welding of deoxidized copper and electrolytic tough pitch copper, suitable for welding both in TIG and MIG methods. Thanks to its excellent flowability, it is very ideal for pure copper welding; solid and porous-free welds can be guaranteed. Nickel Silver (RBCuZn-D as per AWS A5.8 & L-CuZn42Ni as per DIN 1733) is a brazing alloy containing about 10% of nickel. 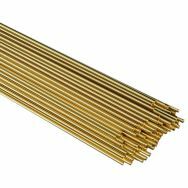 It is primarily used for brazing tungsten carbides, copper alloys, nickel alloys, stainless steels, carbon steels, and cast iron. It is commonly used for building-up or overlaying worn parts such as gear teeth, bearings and valve seats. A boric acid or borax flux is required. Flux-coated in different colors can be supplied as requested. 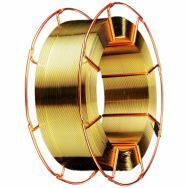 Low Fuming Bronze (RBCuZn-C as per AWS A5.8) is a low-cost general-purpose, versatile oxyacetylene brazing alloy used for steels, copper alloys, cast iron, nickel alloys and stainless steel. It is used with the torch, furnace, and induction brazing processes. Flux is required, and a borax-boric acid flux is commonly used. 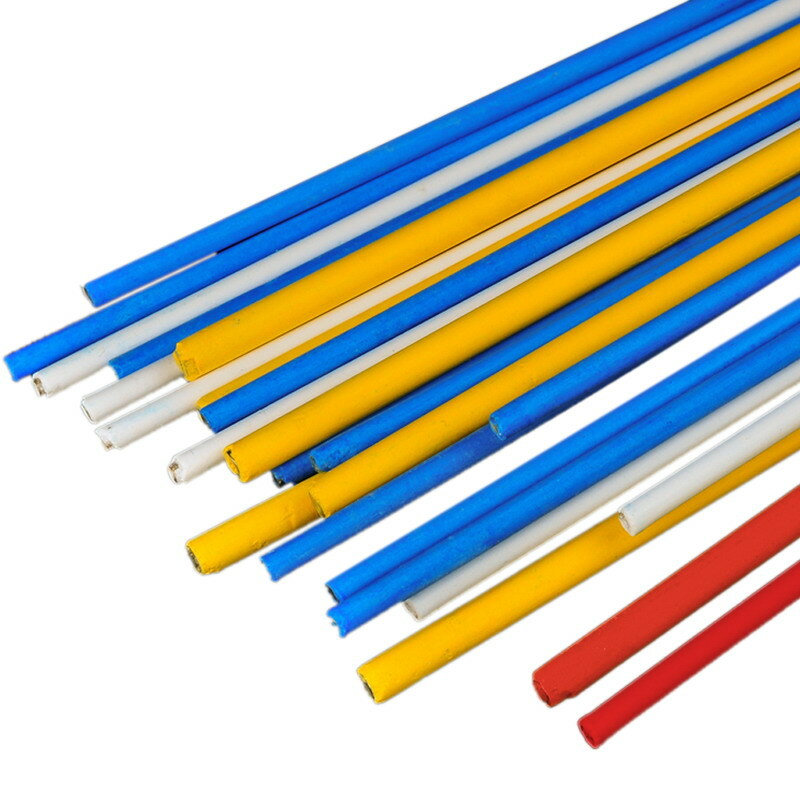 Flux-coated in different colors can be supplied as requested. Naval Bronze (RBCuZn-A as per AWS A5.8 & SG-CuZn40Si), a filler metal used for brazing or oxyacetylene welding of steels, cast iron, malleable iron, copper alloys, nickel alloys and nickel alloys. The addition of tin improves strength and corrosion resistance in the weld deposit. A borax-boric acid flux is generally required. Flux-coated in different colors can be supplied as requested. Phosphor Bronze 2 (ERCuSn-C as per AWS A5.7 & SG-CuSn8 as per DIN 1733) is a copper-tin based welding filler metal containing approx. 8% tin for higher hardness and strength. It can be used to join phosphor bronzes of similar compositions. 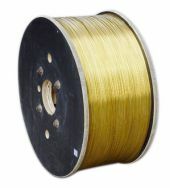 It is also useful for joining brasses and, in some cases, for welding them to cast iron and carbon steel. The higher tin content results in weld metals of higher hardness, tensile and yield strength. Phosphor Bronze 1 (ERCuSn-A as per AWS A5.7 & SG-CuSn6 as per DIN 1733) is a copper-tin based welding filler metal containing approx. 5% of tin and about 0.35% of phosphor as a kind of deoxidizer. 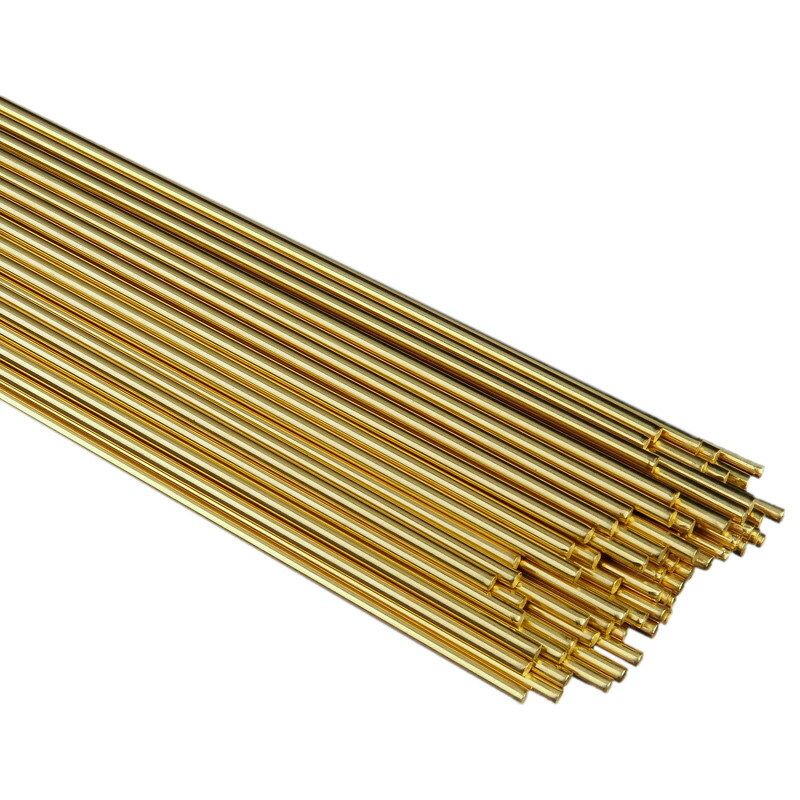 This alloy has high strength and excellent wear and corrosion resistances due to the presence of tin in the alloy. It is suitable for both TIG and MIG welding processes and used for argon arc welding of copper based alloys and brazing of steel. 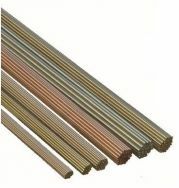 Manganese Nickel Aluminum Bronze (ERCuMnNiAl as per AWS A5.7 & SG-CuMn13Al7 as per DIN 1733) is a manganese-nickel-aluminum bronze filler metal used for joining and repairing of cast or wrought base metals of similar composition. This filler metal may also be used for surfacing applications where high resistance to corrosion, erosion, or cavitation is required. 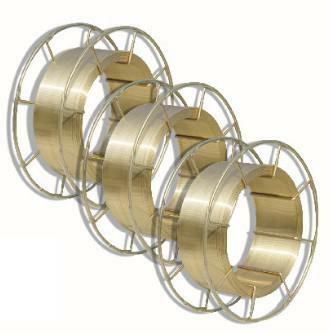 Nickel Aluminum Bronze 1 (SG-CuAl8Ni2 as per DIN 1733) is a nickel-aluminum bronze containing about 2% of nickel. Having good wear and corrosion resistances, this alloy is used for joining and repairing bronze metals with similar compositions. It can be used for argon arc welding of copper based alloys and brazing of steel. Nickel Aluminum Bronze 2 (ERCuNiAl as per AWS A5.7 & SG-CuAl8Ni6 as per DIN 1733) is a very popular filler metal used in offshore technology such as seawater desalting, shipbuilding and repair. Having increased resistance to wear and corrosion, it is always used in shipbuilding and pump building, joining and repairing of cast or wrought nickel-aluminum bronze base metals. Aluminum Bronze A3 (ERCuAl-A3 as per AWS A5.7) is an aluminum bronze with higher strength used for joining and repair welding of aluminum bronze castings of similar composition, and for depositing bearing surfaces and wear- and corrosion-resistant surfaces. Aluminum Bronze A1 (ERCuAl-A1 as per AWS A5.7 & SG-CuAl8 as per DIN 1733) is an iron-free copper-aluminum based bronze that provides good resistance to seawater corrosion and the most commonly-used acids in various concentration and temperatures. It is normally used as a surfacing metal for wear-resistant metal surfaces where high corrosion resistance is required, for example in shipbuilding, chemical industry and automobile industry. Aluminum Bronze A2 (ERCuAl-A2 as per AWS A5.7 & SG-CuAl10Fe as per DIN 1733) is an iron-bearing copper-aluminum bronze used for joining aluminum bronzes of similar compositions, manganese, silicon bronzes, some copper-nickel alloys, ferrous metals and dissimilar metals, for example aluminum bronze to steel and copper to steel. It is also used for welding parts such as ship propeller where wear- and corrosion-resistances are required. 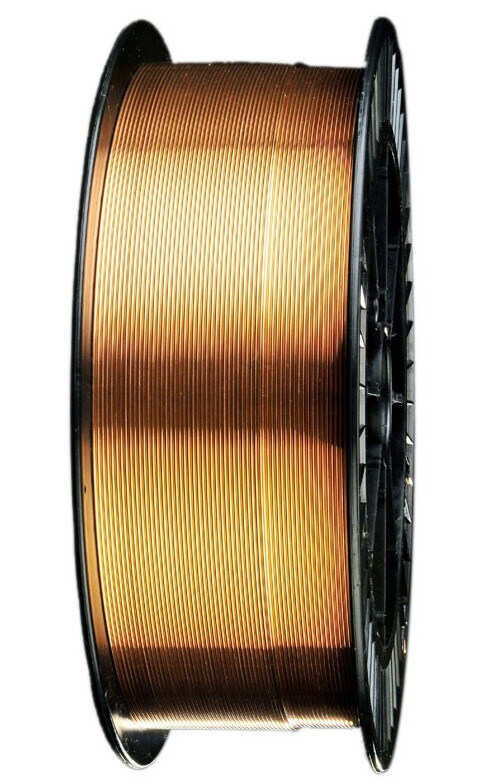 Silicon Bronze (ERCuSi-A as per AWS A5.7 & SG-CuSi3 as per DIN 1733) is a copper alloy containing approx. 3% of silicon (Si) and small percentages of manganese (Mn), tin (Sn) and zinc (Zn). It is used for gas tungsten arc welding (GTAW/TIG) and gas metal arc welding (GMAW/MIG) of copper, copper-silicon and copper-zinc based alloy metals to themselves, and to plain and galvanized steel also. This alloy is extensively applied in automobile industry. 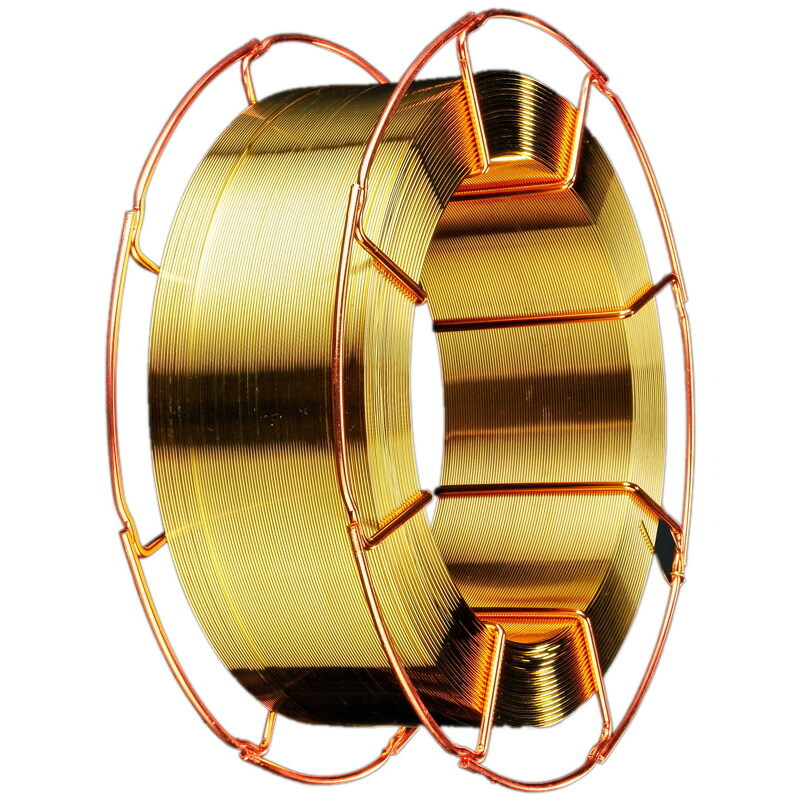 Winnox Industries Limited is a Hongkong-based marketing company affiliated to BMM Strong Welding Material Co., Ltd., a leading professional manufacturer and supplier of copper based welding filler metals in Beijing, China. As a professional supplier and exporter of welding supplies in China, we are proud to supply our high quality welding alloys and some welding-related products to our global customers and play an important role in the international sales for our own factory. Our quality copper based filler metal alloys are well-sold in USA, Canada, Germany, France, Italy, UK, Australia, Korea, etc. due to our consistently stable and reliable quality. As a professional supplier of welding-related supplies, we understand how important the One-Stop service is, that is why we are also committed to provide other products such as quality aluminum based filler metals, tungsten electrodes, air arc gouging carbon electrodes, and welding safety protection products to our customers.